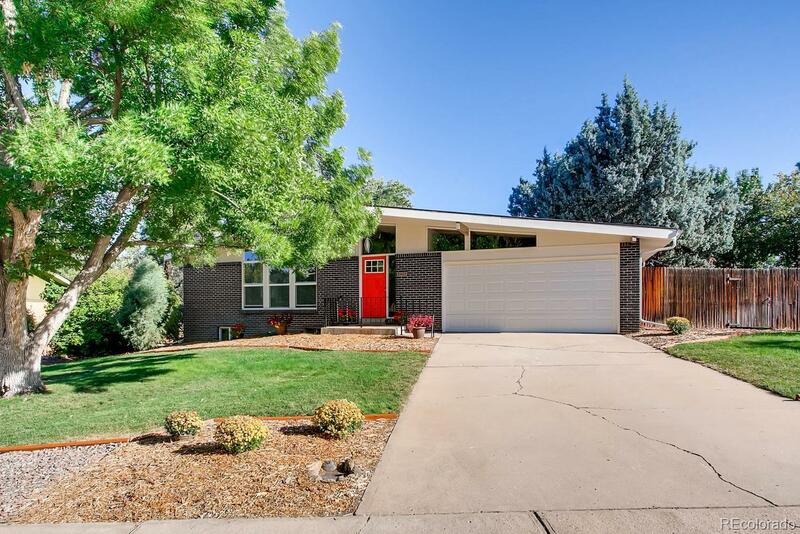 COMPLETELY UPDATED MID CENTURY MODERN LOCATED ON A GORGEOUS CORNER LOT IN A POPULAR, WELL ESTABLISHED NEIGHBORHOOD. NATURAL LIGHT FLOWS THRU THIS HIGHLY DESIRABLE FLOOR PLAN. SPACIOUS KITCHEN FEATURES ALL NEW CABINETS, SINK, FAUCET, STAINLESS APPL., FLOOR, COUNTERS AND GLASS BACKSPLASH. FRENCH DOORS EXIT FROM THE KITCHEN TO A LARGE COVERED PATIO IN THE BACKYARD. NEW WINDOWS WITH TRANSFERABLE WARRANTY HAVE BEEN RECENTLY INSTALLED. FRESH INTERIOR PAINT. LARGE, VAULTED LIVING ROOM W/ BRICK SURROUND WOOD BURNING FIREPLACE. REFINISHED HARDWOOD FLOORS THRUOUT THE MAIN LEVEL. FINISHED GARDEN LEVEL BASEMENT INCL. NEW CARPET, TWO LARGE, NON CONFORMING BEDROOMS, HUGE LIVING ROOM/FLEX SPACE WITH A 2ND WOOD BURNING FIREPLACE AND A Â¾ BATHROOM. SEPARATE EXTERIOR ENTRANCE TO THE BASEMENT IDEAL FOR ROOM MATES OR MOTHER IN LAW SITUATION. ALL BATHROOMS HAVE BEEN UPDATED WITH NEW SINKS, FAUCETS, AND PORCELAIN TILE FLOORS. CONVENIENTLY LOCATED MAIN FLOOR LAUNDRY WITH FULL SIZE WASHER/DRYER INCL.